Exciting update! There is now 'alpha' name changing support available on the server. Before jumping right into changing your name- please read the instructions carefully. DISCLAIMER: This process is in ALPHA. It has not and cannot be properly tested due to limited name-changes. If you lose your inventory you will not be refunded. RECOMMENDATION: Take screenshots of the process while you do it and post them along with a short update on how your name changing process went so that the plugin can be even more effective in the future. 1. Join the server. This will store your player in the database and allow the server to notice you changing your name. To be on the safe side, please store your valuables in chests and save the coordinates to these chests. 2. Leave the server and change your name. 3. Join the server with your new name; you will be instantly kicked. This means the name changing process has begun. You now need to wait 1 minute before you rejoin. 4. Join the server. If everything worked, you should now have changed your name succesfully. 5. If you have time, post a thread on the forums telling us how it went. Your input will help us improve the plugin. IrishToothAche The name changing plugin has alot of potential and can help in various amount of reasons, cant wait to see it in action! Since I haven't posted an update in a while - I figured this is a good time to do so. 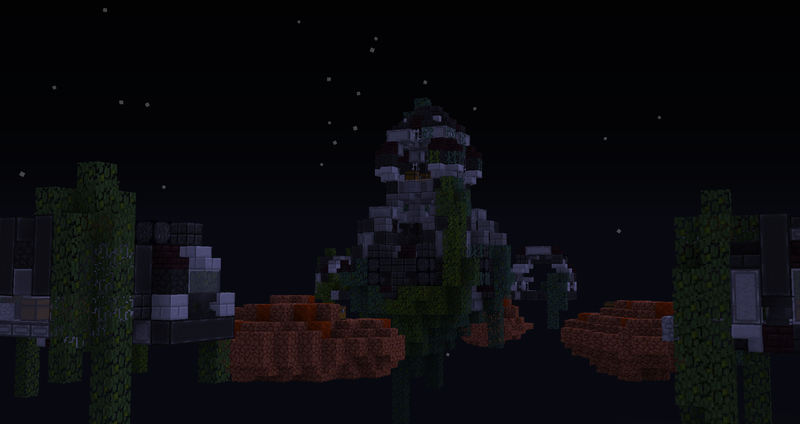 First off, in case you haven't noticed, we finally have a new spawn! Many thanks to Nubkins and 6_Soul_9, MCConquer staff members and great builders, for working tirelessly on this spawn. Along with this new spawn, a bunch of issues have been fixed. Loopholes which allowed players to destroy blocks in spawn have been closed, a few more blocks are now considered 'modded containers' to prevent players from editing the spawn, and daggers are unfortunately once again banned because of a new dupe. More things are in the works and a huge addition to the MCConquer network is on its way. Pay close attention to the website as this will be announced in the near future. Have a great summer and I'll see you in game! 50% off all ranks until February! To kick off the new year, for a limited time only, there will be a 50% discount on all ranks! This discount period starts as of this post and will expire at the end of January. December is here and starting the 18th of December, MCConquer will host a Christmas Skywars Tournament! Sign up before the 18th of December and claim your title as the best Skywars player on the server. 2 500 000$ in game! Rarified armor: 4 rare armor pieces and 1 weapon made Unique [1/3] of your choice! Uncommon armor, 4 uncommon armor pieces and 1 rarified weapon of your choice! Uncommon weapon of your choice. Go to this thread for more info and to sign up. Sign-ups close the 18th of December at 7 PM.